Whether you’re a life-long quilter or you're just getting started, we can't wait to help you with your quilting project! 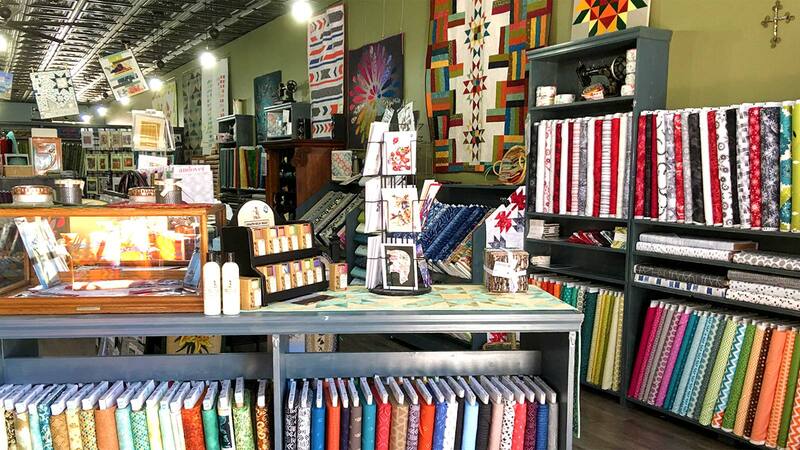 From patterns and threads to 100s of yards of fabric, we have what you need for your next work of art. For more information on our quilting products, give us a call or stop in for a visit. We invite you to browse around, we’re sure you'll find something to inspire you!